Galaxy Sivtek recognized as Best Brand in Whole Gujarat at CMO Asia Leadership Awards. Galaxy Sivtek > Blogs > Galaxy Sivtek recognized as Best Brand in Whole Gujarat at CMO Asia Leadership Awards. It is always said hard works pay off, and yes that proverb proved to be true for us as well. Galaxy Sivtek has a number of times made to the news headlines for serving the best to their clients & customers & this time also it has made up to news for being nominated & awarded for the category of Best Brand under Gujarat Leadership Awards 2018 organized by CMO Asia. 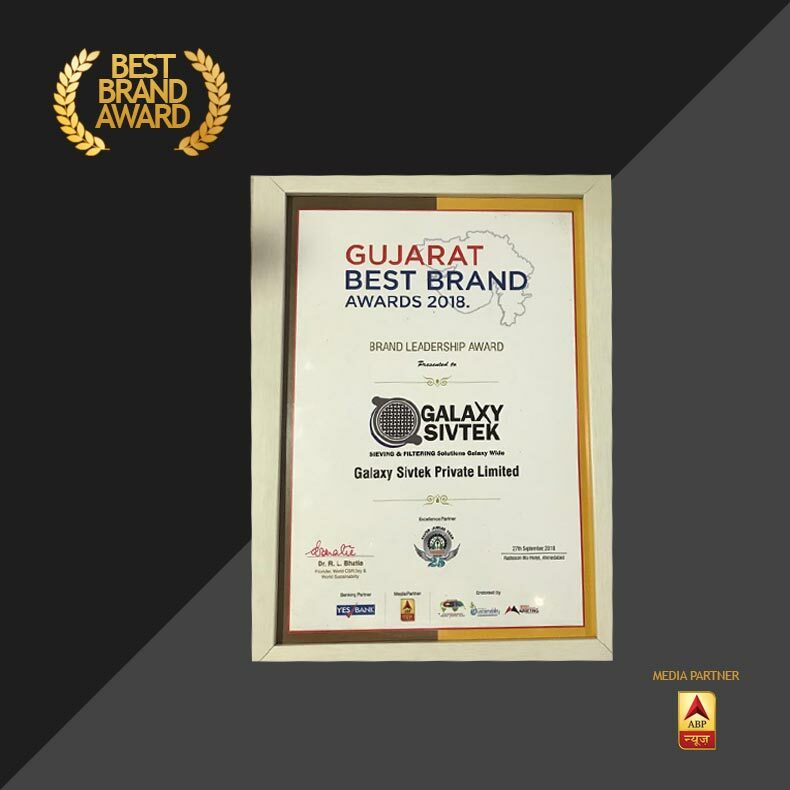 Having served to 12+ industries since last two & half decades, Galaxy Sivtek was nominated for Best Brand among many industries across the whole of Gujarat. “It was really a moment of honor & pride for Galaxy Sivtek on receiving Award for Best Brand in whole Gujarat; while competing with best brands across Gujarat” added Nilesh Khimsaria – COO, Galaxy Sivtek. We hope to serve with best of our Sieving & Filtering solutions to you all for coming many more years. Cheers!